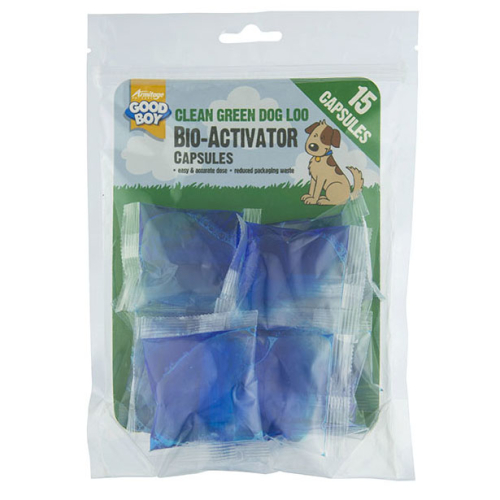 The Armitage Good Boy Bio Activator Refill Capsules are for use with the Good Boy Green Loo. This high performance Bioactivator liquefies the waste matter added to the Green Loo, so that when the dog waste is flushed with water it washes away. The Bio Activator helps eliminate smells and odours and repels insects.